Carson joins a list of candidates supported by NAWBO National. 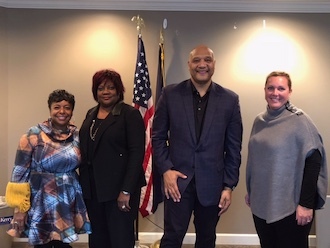 Washington, D.C. —The National Association of Women Business Owners (NAWBO) is announcing its endorsement of U.S. Representative André Carson in his bid for re-election in Indiana’s 7th District. “NAWBO Indianapolis is proud of our strong working relationship with the Congressman and his staff. As our bipartisan by design policy espouses, we look for public servants/elected officials from both political parties with whom we can work together on behalf of our members. In André Carson we have found just such a partner,” says Jessica Nickloy, President of NAWBO Indianapolis.